Chalkboard Hanger, 9am-12pm, ages 5-12, Home Depot. Basic Land Navigation, 10am-2:30pm, Join us for a basic field course on how to use a compass, read a map, and use a GPS in order to find your location. Meet at the gate on Deer Island Ln in Novato. Novato Space Festival, 10am-4pm, meet legendary astronauts and see a lunar module and lunar rover, Space Station Museum, Novato. Concert for Kids, 10:30-11:15am, James K, Robin Sweeny Park, Sausalito. STEAM with the Bay Area Discovery Museum! 11am-12pm, ages 4-8, Maker Lab Jam Session: Gravity, San Rafael Library. Celebrate Dr. Seuss with Marin County School Volunteers, 11am-1pm, Book Passage, Corte Madera. Artists of Mount Tamalpais Art Fest and Sale! 11am-6pm, music, children's activities and more, MWPCA Clubhouse, Mill Valley. DIY Canvas Backpack, 11:30am, ages 5+, San Rafael Library. Hook, San Anselmo Creek Park. North Bay Mobile Drive-In, 9pm, Indiana Jones and the Temple of Doom, 520 Palm Drive, Novato. Film of the Month, The Sword in the Stone & Sleeping Beauty, The Walt Disney museum, San Francisco. Nihonmachi Street Fair, enjoy performance, tradition, art, music, food, and more, Japantown, San Francisco. Thoroughly Modern Millie, presented by The Young People's Teen Musical Theatre Company, Randall Museum, San Francisco. San Jose Renaissance Faire, 10am-6pm, Discovery Meadow, San Jose. Fremont Festival of the Arts, 10am-6pm, Downtown Fremont on Paseo Padre Parkway and Walnut Avenues. Sunrise Adventure Hike to the Top of Big Rock, 5-7am, Meet at the Big Rock trailhead in San Rafael. Concerts on the Plaza, 2-5pm, Downtown Mill Valley. Music in the Park, 3-6pm, Creek Park, San Anselmo. Mary Chapin Carpenter, Stern Grove Festival, San Francisco. Children’s Storytime and Family Walk, 10:30am, California Giants, San Francisco Botanical Garden in Golden Gate Park. San Jose Renaissance Faire, 10am-5pm, Discovery Meadow, San Jose. Stories and More: Bugs! Bugs! Bugs! 2:30-3:30pm, Mill Valley Library. Henna, 3:30-5pm, ages 9-12, Sausalito Library. Summer Movie Clubhouse, 10am, The Nut Job, $5 for 10 movies or $1/show, Rowland, Novato. Little Sprouts: Yoga Sprouts, 11-11:45am, ages 2-5, Mill Valley Library. Garden Club with Kier Holmes, 2:30-3:15pm, grades K-3, Mill Valley Library. Make a Night Light, 3-4:30pm, grade 6-12, Fairfax Library. Circus of Smiles, 3:30pm, Sausalito Library. Crosspulse Rhythm Duo, 3:30pm, Civic Center Library. Teen Henna Arts, 4pm, Belvedere Tiburon Library. Summertime On Main, 10:30am-2:30pm, children's entertainment, live music, sidewalk sales, food and more, Downtown Tiburon. Crosspulse Rhythm Duo, 11am, Corte Madera Library. WildCare Animal Ambassadors, 11am, Bolinas Library. Vegetarian Spring Rolls, 1-2:30pm, grades 6-12, Novato Library. Crazy Sculptures, 3-4:30pm, ages 4+, Sausalito Library. Learn to Skate – Free Clinic, 3 – 5pm, McInnis Park, 310 Smith Ranch Rd, San Rafael. Wednesday on Stage: Essence, Children's Musician, 3:30-4:30pm, Mill Valley Library. Crosspulse Rhythm Duo, 3:30pm, Marin City Library. First Wednesdays, 5-7pm, enjoy beverages from the “Bar Car,” a specially-designed Airstream that redefines mobile hospitality. Adults and families are welcome, and it’s free. Bon Air Center, Greenbrae. Plaza Night, 6-8pm, Enjoy evenings under the stars with the family and join us in the Novato Library Atrium for music, crafts, games and special events, Novato Library. Juggling Two: Preparing Yourself and Your Older Child for the New Arrival (birth - 10 years), 7-9pm, Parents Place, San Rafael. Space: The Final Frontier, Lawrence Hall of Science, Berkeley. Art in the Park, 10am – 1pm, Hal Brown Park at Creekside, Bon Air Dr, Greenbrae. Circus of Smiles, 11am, Belvedere Tiburon Library. GardenSmart for Kids: Native Plants, 2:30-4pm, Mill Valley Library. Explore the Art of Henna, 2:30pm, grades 6-8, San Rafael Library. Free Recorder Class, 3pm, Corte Madera Library. Jewelry Making with Chelsea Robinson, 7-8:30pm, Mill Valley Library. Teen Movie Nights! grades 6-12, 3 Teen Movie Nights at the Novato Library! Healthy and Unhealthy Snacks! Pizza etc. Novato Library. MAGC Summer Concert Series, Ross. Mothers and Sons: Raising Emotionally Strong Boys (2 - 10 years), 7-9pm, Parents Place, San Rafael. Twilight at the Presidio, 5-9pm, cabanas, food, drink, live music and fire pits, Presidio, San Francisco. Kent Island Restoration, 10am – 2pm, ages 5+, Meet at the public dock on Wharf Rd in Bolinas (across from the College of Marin biology lab). Into the Woods: What's blooming now?, 11am-1pm, Native Plants, Muir Woods. Maker Drop-in for Kids, 2:30-4pm, ages 2-13, Mill Valley Library. Teen End of Summer Party, 4pm, grades 6-12, Belvedere Tiburon Library. Picnics on the Plaza, 5-8pm, featuring music and family fun in downtown San Anselmo. Bring your picnic basket or buy food at the event, Town Hall Lawn. Jazz & Blues by the Bay, 6:30pm-8pm, Gabrielson Park, Sausalito. 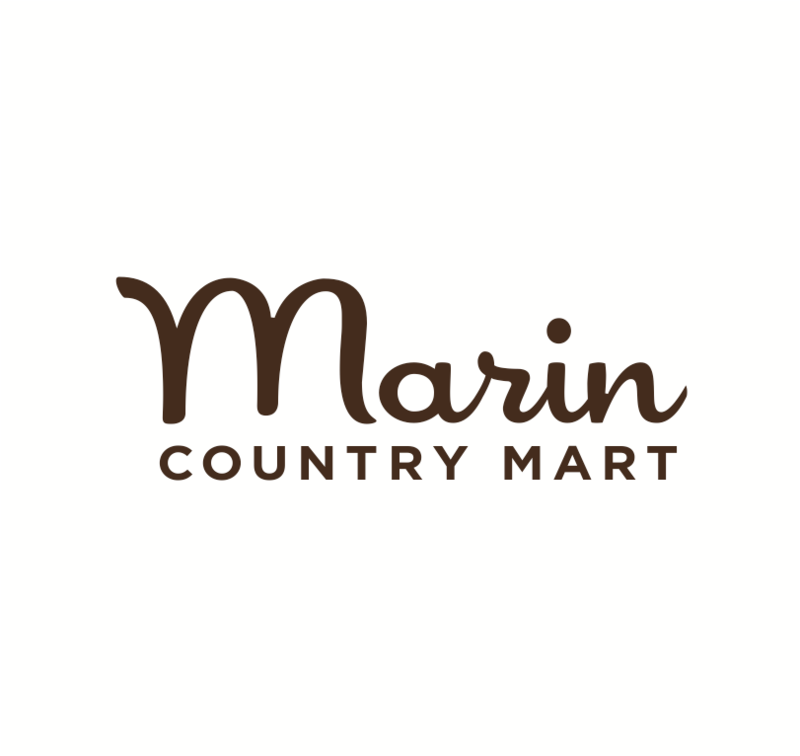 Creekside Fridays Music Series, 6:30-8pm, 60 Tennessee Valley Road, Mill Valley. Shrek the Musical, 7pm, Throckmorton Theatre, Mill Valley. Yerba Buena Garden Festival, 11am & 12:15pm, Crosspulse, San Francisco. Dog Show, food and fun for you and your doggie, Whole Foods, Blithedale, Mill Valley. Charlotte's Web, 11am, 1pm & 3:30pm, grades K-8, Marin Theatre Company, Mill Valley. STEAM with the Bay Area Discovery Museum! Nature Studio 11am-12pm, ages 3-6, San Rafael Library. Learn to Freshwater Fish, 4-6pm, rangers will teach the basics of freshwater fishing at the parks' pond, McInnes Park, San Rafael. Family Fun Nights, 5-7pm, $10 for the whole family, Sports Night, enjoy the pool, games, raffles, jumpee, face painting, nail salon and movies for those who do not want to swim, Mill Valley Community Center. Box Trolls, San Anselmo Creek Park. Science Saturdays at Mountain Lake, 2-3pm, Saving the Amphibians at Mountain Lake, San Francisco. Pistahan, celebrating Filipino and Filipino-American culture, San Francisco. Gravenstein Apple Fair, 10am-6pm, Sebastopol. Marine Science Sunday, Under the Bridge: Marine Mammals of SF Bay, Docent-led tours at 11 am, 1 pm and 3 pm, Free Classroom presentations at 12 pm and 2 pm, Marine Mammal Center, Sausalito. Charlotte's Web, 11am & 1pm, grades K-8, Marin Theatre Company, Mill Valley. Marin Shakespeare Company, 4pm, Don Quixote, Family Day Matinee, Youth under 18 free. Arias in the Afternoon, 2-4pm, Gabrielsson Park, Sausalito. Shrek the Musical, 4pm, Throckmorton Theatre, Mill Valley. Bricks by the Bay, 10am-4pm, Santa Clara Convention Center, 5001 Great America Pkwy, Santa Clara. Morris Day And The Time, Stern Grove Festival, San Francisco. Teen Movie: The Duff, 2-4pm, Civic Center Library. Stuffed Animal Sleepover, 6:30-7:15, Bring your favorite stuffed animal for an evening story time and bedtime snack; then your stuffie gets to spend the night! Pick up your stuffed friend the next day, Mill Valley Library. Composition, 10-11:30am, by donation drawing class with John Muir Laws, Belvedere Tiburon Library. Summer Movie Clubhouse, 10am, Rio 2, $5 for 10 movies or $1/show, Rowland, Novato. Little Sprouts: Jammin' with Charity Kahn, 11-11:45am, Mill Valley Library. Fairytale Engineering, 1-2pm, presented by the Bay Area Discovery Museum, Point Reyes Library. Fairytale Engineering, 4-5pm, presented by the Bay Area Discovery Museum, Stinson Beach Library. WildCare Animal Ambassadors, 11am, Inverness Library. Wednesday on Stage: Circus of Smiles, 3:30-4:30pm, These clowns know how to make your whole family smile using juggling, acrobatics, and comedy. Audience participation guaranteed as they engage you through songs, dances and zany antics, Mill Valley Library. Kids Book Club: THE FOURTEENTH GOLDFISH, 7-8pm, grades 4-5, Corte Madera Library. Real Life Robotics, Lawrence Hall of Science, Berkeley. Nature for Kids: Cascade Canyon, 10am – 1pm, bring lunch and meet at the gate at the end of Cascade Dr.
Toddler Sleep Class (12 - 36 months), 10am-12pm, Parents Place, San Rafael. "Every Hero Has A Story" Summer Reading Program Party, 11am, music by Snap Peas, Belvedere Tiburon Library. End of Summer Party, with Trivia Contest and Raffle, 7-8:30pm, grades 6-8, Mill Valley Library. Infant and Child CPR, 7-9pm, Parents Place, San Rafael. Free Night, 5-8pm, ice cream cake from Cold Stone Creamery of Sonoma County (while supplies last). Also, take a photo to remember the event in the free photo booth provided by Runaway Photo Booth, Schultz Museum, Santa Rosa. Ringing Brothers and Barnum & Bailey Circus, Oracle Arena, Oakland. Nostalgia Days Rod and Kustom Car Show, Novato. Concert Under the Oak, 6-8pm, Northgate, San Rafael. Yerba Buena Garden Festival, 11am & 12:15pm, The Unique Derique, San Francisco. Run for the Seals, Raising funds to support sick and injured seals and sea lions, Marine Mammal Center. WildCare Family Adventures goes to Phoenix Lake, 10am-12:30pm, observe turtles and otters who live in the lake, wildflowers, and numerous birds and other local wildlife. Bring appropriate shoes and layers of clothing, a bag lunch, snacks, and water. Free Bike Repair Day for Kids, 10am-1pm, Fairfax Library. Simple Science, 10:30-11:30am, ages 3-7, Novato Library. Big Hero 6, 11am, free, includes 1 junior popcorn per guest, seating is limited, Smith Rafael Film Center, San Rafael. Bay Model Alliance, 11:30am-2:30pm, ages 4-12, free, Bay Model and Aquarium By The Bay have teamed up to create conservation programs that are fun for the whole family. Plus, receive a free ticket to Aquarium of the Bay. Tickets are first come, first serve, so be sure to show up early, Bay Model, Sausalito. The Incredibles, San Anselmo Creek Park. Living History Day, 10am-5pm, Demonstrations include musicians, infantry and artillery drill, medicine in the 1800s, Victorian dancing, and the daily life of soldiers and civilians of the era. Fort Point is a National Historic site located in the Presidio under the southern anchorage of the Golden Gate Bridge. Discover Plankton! 10-11:30am or 1-2:30pm, $10/person, ages 4-8, explore of the weird and wonderful world of plankton in the waters just off Crissy Field. Contact Mark Oates at (321) 332-2399 or mark.oates@noaa.gov to reserve a spot! 991 Marine Drive, The Presidio, San Francisco. Sculpting Outdoors, 10am-12pm, free but RSVP required, get creative with wood, leaves, stone, pine cones, bark, branches, water, and imagination. Bring a picnic lunch or snack. El Polin Springs, Presidio, San Francisco. Bark Around the Block, 10am-4pm, adopt-a-thon, street fair, fundraiser, Ninth St & Carleton Street, Berkeley. Pacific Coast Air Museum, 10am-4pm, free admission on Saturday, open-house, open-cockpit event marking the Congressional Commemoration of the 50th Anniversary of the Vietnam War, Santa Rosa. Sunday Special: Children's Musician Alison Faith Levy, 11-11:45am, dance, jump, spin, wiggle, pretend play, and other silliness, all to the strains of her upbeat retro-pop tunes, Mill Valley Library. Alex Ramon #NewMagic, 3pm, $35 ticket, Showcase Theater San Rafael. Talib Kweli, Stern Grove Festival, San Francisco. Pacific Coast Air Museum, 10am-4pm, open-house, open-cockpit event marking the Congressional Commemoration of the 50th Anniversary of the Vietnam War, Santa Rosa. Make Your Own Locker Magnets, 2-3pm, Civic Center Library. Teen Movie Night: Jupiter Ascending, 6:30pm, Corte Madera Library. Summer Movie Clubhouse, 10am, Turbo, $5 for 10 movies or $1/show, Rowland, Novato. Games & Puzzle Day, 2:30pm, Mill Valley Library. The Lorax, 3pm, Sausalito Library. Kids' Literary Karaoke! 4pm, diesel, a Bookstore, Marin Country Mart, Larkspur. Fizzy Foamy Science, Lawrence Hall of Science, Berkeley. Ringing Brothers and Barnum & Bailey Circus, SAP Center, San Jose. Bay Area Bikemobile, 2-5pm, free bike repair, San Anselmo Library. LEGO Play Day, 2:30pm, Mill Valley Library. Music in the Park, 6-8pm, Marinwood. Yerba Buena Garden Festival, 11am & 12:15pm, Pi Clowns, San Francisco. Mary Poppins, Spreckels Performing Arts Center, Rohnert Park. Stafford Lake Bike Park, 10am-2pm, free, ride the trails, hear from honored guests, mingle with park sponsors, listen to live music, enjoy refreshments, and donate to the future park phases, Novato. Junior Chef Class, 10am, ages 5–13, Pressed Italian Sandwiches, Williams-Sonoma, The Village at Corte Madera. Rubber Band Bracelet Making, 12-1:30pm, Marin City Library. Kids LEGO Club, 1-2pm, Belvedere Tiburon Library. Taming of the Shrew, 1:30pm, Old Mill Park Amphitheater. Builder's Challenge, 2-3pm, ages 4-14, Novato Library. Summer Teen Movie & Pizza Night, 5pm, grades 6-12, Belvedere Tiburon Library. Concerts on the Green, 5-7pm, Freddy Clark & Wobbly World, free outdoor concert, Novato City Green, 901 Sherman Avenue. Mt. Tam Star Party, 8:30pm, free, “In the Land of Enchantment: A Decade Exploring Saturn’ with Dr. Carolyn Porco, Space Science Institute, CICLOPS Director, Rock Springs parking lot, Mountain Theater, Mill Valley. Travis Nichols - Fowl Play, 11am, Ferry Bldg, San Francisco. Ace is a Magical Place, free, magic lessons, music, food, juggling, and more, Wells Fargo Center for the Arts, Santa Rosa. Raiders of the Lost Ark, 8:30pm, Montclair Village in Red Oak's parking lot, 6450 Moraga Avenue, Oakland. Infant and Child CPR, 10am-12pm (Spanish) & 1-3pm (English), Parents Place, San Rafael. Back to the Future I, II, & III, 1pm, 4:30pm, 7:30pm, see all 3 movies for $20, separate tickets also available, special guest appearances include Jason Aron (Director, Back in Time) and Jeffrey Weisman (George McFly), Smith Rafael Film Center, San Rafael. Build Your Own Lunch Box, 4:30-6:30pm, RSVP required, Whole Foods Market, Miller Avenue, Mill Valley. Proof Lab San Rafael Grand Opening Party, 6-9pm, featuring best trick skate jams, music by Sandys and Adam Twelve, a pop-up barber shop offering free cuts by our friends at Barber Lane, San Rafael Farmers Market. Pacheco Plaza Summer Music Series, 6-9pm, Novato. Friday Nights on Main, Tiburon. Ring Mountain Grassland Restoration, 10am – 1pm, Meet at the gate at the end of Taylor Rd in Tiburon. Celebrate the launch of Leo with Mac Barnett and Christian Robinson, Mac and Christian will read us the story, then we'll draw with pavement chalk together and play at being worthy knights, Marin Country mart, Larkspur. Heritage Day, 11am-4pm, China Camp State Park. Little Blue Truck's Beep-Along Book Storytime, 11am, Barnes & Noble, Corte Madera. Summer Carnival! 12-2:45pm, games, face painting and Circus of Smiles, Novato Library. Muir Woods After Dark, 6:45-8:45pm, ages 8+, two-mile walk on paved trails. Bring your flashlight and discover Muir Woods when the sun goes down. Reservations required; call (415) 388-2596. Full Moon Over the Bay, 7 – 8:30pm, enjoy Old St Hilary’s at night! Meet at the gate at the end of Lyford Dr in Tiburon. Pacific Rim, San Anselmo Creek Park. North Bay Mobile Drive-In, 9pm, The Dark Crystal, 520 Palm Drive, Novato. Royal Hawaiian Featherwork: Nā Hulu Ali‘i Community Day Celebration, 12pm, free, Hawaiian crafts, music, hula and more, DeYoung, San Francisco. The Legend of Zelda / Symphony of the Goddesses - Master Quest, 8pm, Davis Symphony Hall, San Francisco. Streets for People, 10am-4pm, Creative fun activities, gathering and socializing, play, shop and eat at the third annual “Streets for People”, Bolinas Road, Fairfax.